One of California's best kept secrets, Los Padres Forest. The majority of LA city folk head east to Angeles & San Bernardino National Forests / Big Bear ...only a small percentage of them head north to Los Padres National Forest. Plenty of small campgrounds & dirt roads to real seclusion. 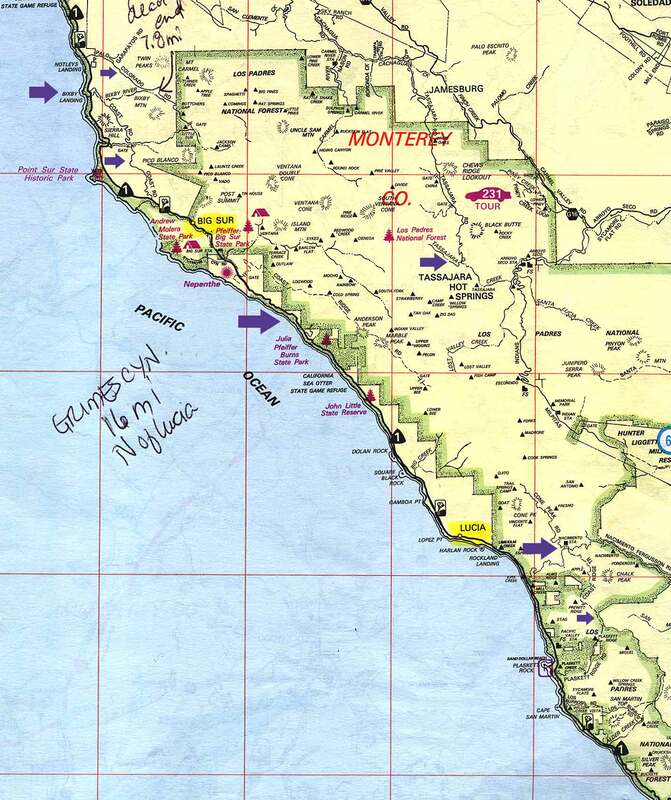 The forest boundary stretches along the California coast as far north as Monterey. A diverse landscape makes this area interesting with plenty of recreational activities. Dirt backroads are all over the place. 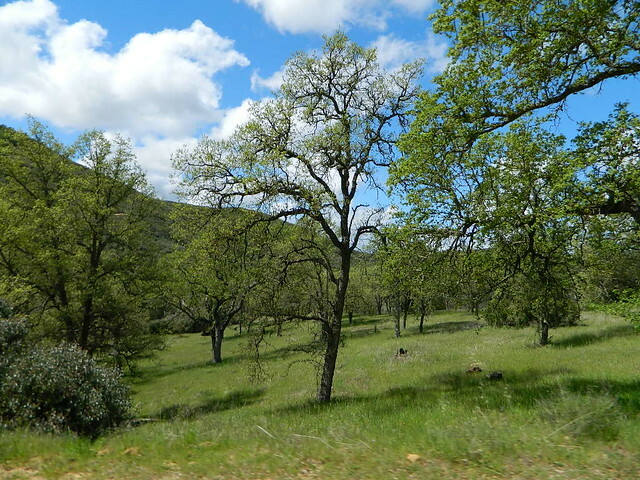 Pinyon pine to Jeffery Pine forest, Snow in the mtns., cactus & manzanita chaparral, wide creek washes plus the meadows makes this a very desirable destinations for Californians seeking a break from the crowded urban areas. 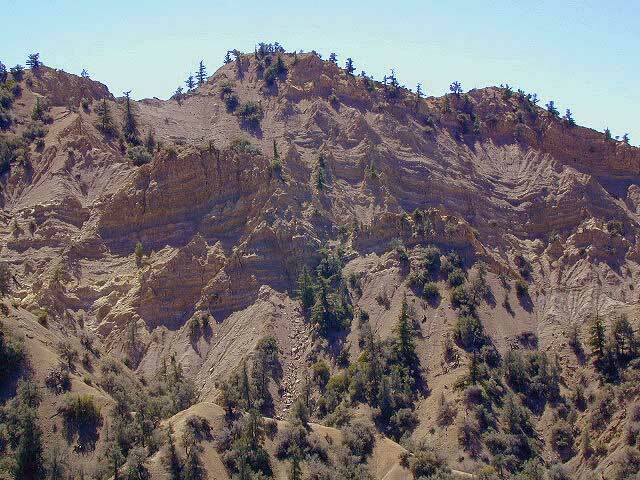 Some of the best remote backpacking in Southern California can be found in this area. A Forest Service Map is highly advised for this area. There are many dirt roads & trails in order to get to some of these spots. Big Sur / Central Coast Area - this coastal range offers spectacular views of the coastline plus hiking among oaks & some redwoods trees. From coastal Hwy.1 a few miles south of Lucia, across from Kirk Creek Campground take the small & very windy Naciemiento Ferguson Rd. (paved) up 7 mi. to the dirt road crossing. Turn left /north & continue on dirt road to 3 different trail head parking spots. There is no base camp areas. - off Lockwood Valley Rd. 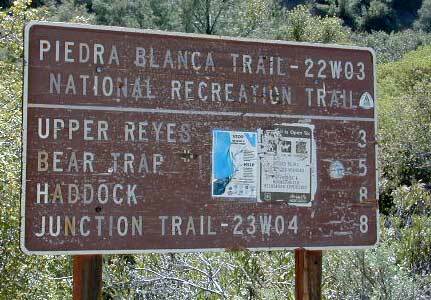 look for Reyes Creek campground & park there. Hike into these back country campsites. They can be found in order, heading south toward another other parking option at Lion campground on road # 6N313 found off Hwy.33. 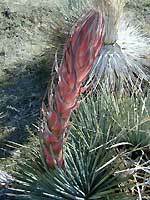 - Plenty more back country campsites can be found. 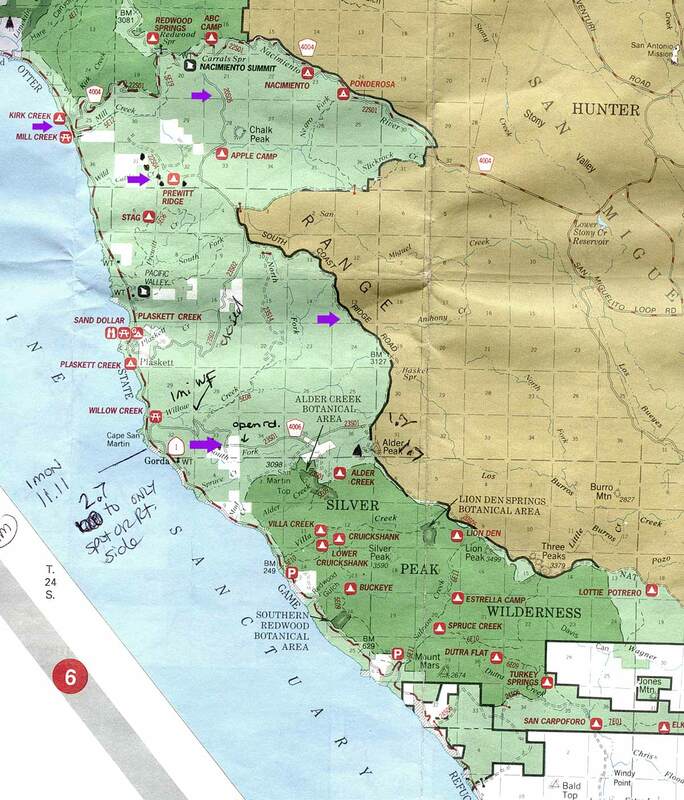 Get the official Los Padres Forest Service map & explore. We will eventually have a complete backpacking section on all parks. With mileage, length & strenuous rating. There is no better place is Southern California to hit the dirt & get away from the crowds. 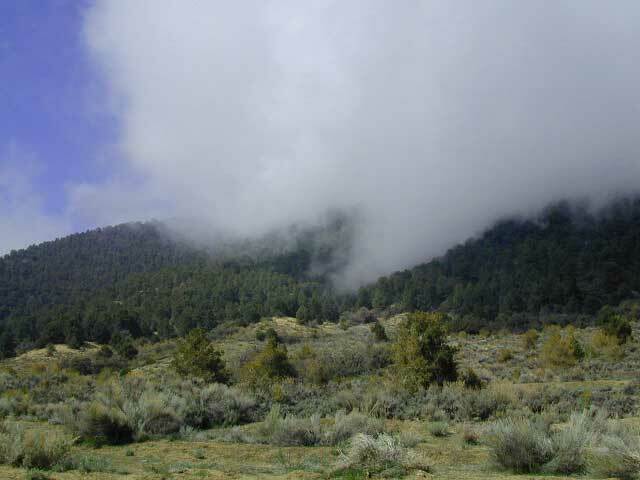 Big Bear in Santa Bernardino National Forest	& Angeles National Forest, so close to LA, are such popular destinations, that you can rarely feel like you are in the wilderness. 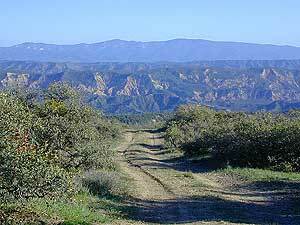 But merely 30-40 miles from San Fernando Valley is this network of amazing dirt backroads. Check out the red dirt action in Quatal Canyon & Santa Barbara Canyon. A Forest Service Map is highly advised for this area. Many dirt roads to get to spectacular views. From Coast Highway 1, a few miles south of Lucia, across from Kirk Creek Campground take narrow & very winding paved road east up Naciemiento Ferguson, approx. 6-7 mi. to the dirt road intersection/crossing. Just West of Naciemiento campground will be an intersection of dirt roads. North segment will bring you to Cone Peak Rd. 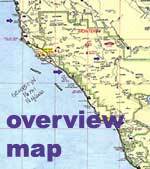 Backpackers parking areas & plenty of trails leading into the coastal wilderness. Dead ends. 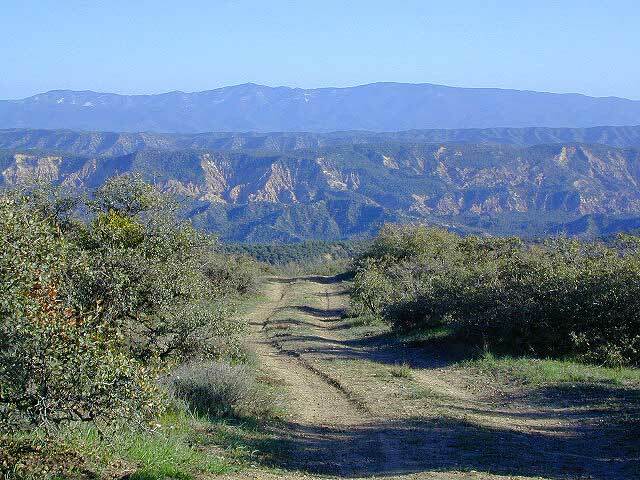 Turn South on Coast Ridge Trail #20S05 & find primitive camping spots: continue 5 mi. to right turn up hill & onto ridge area. All out in the open with great view. A few oaks trees for shade. Continue South on #20S05 & follow into confusion dirt roads. Signs with map are hard to understand & some west slope roads are washed out due to El Nino rains a few years back. You CAN eventually get down the western side via Willow Creek area (with a nice waterfall) Rd#23S01, but you will have to be patient & not wander East into military land. Willow Creek waterfall: From coast Hwy.1 just North of town of Gorda, Highway widens to dirt area & up embankment. Take Rd#23S01 up approx. 1 mi. 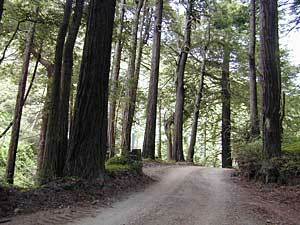 (careful - no trespassing on private lands) to fern basins, redwoods & a waterfall. Los Padres - Mont. Distr. Lockwood Valley Rd. 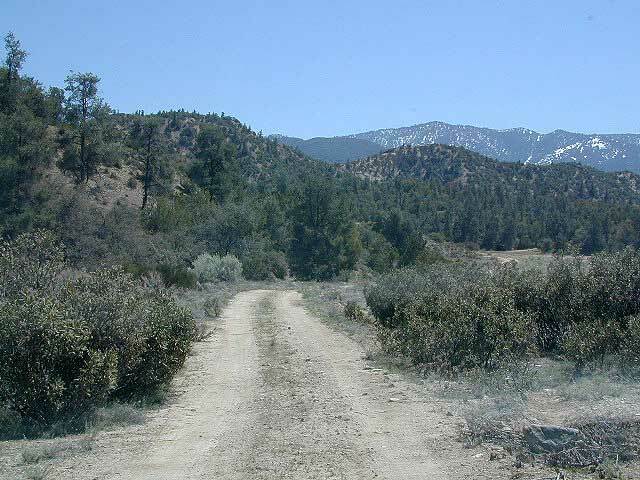 west of Frazier Park has plenty of Forest Service Roads that branch off of it. Take your pick & go exploring. Most are suitable for 2WD high clearance vehicles, except during wet weather. San Emigdio road behind small community of Pine Mountain Club up to the Blue Ridge for a great sunset run. Miller Jeep Trail - the over-crowded super-popular 'city boy' weekend extreme 4x4 run. Plenty of hiking & backpacking opportunities within this forest. Frazier Mtn. area has some nice trails. Prewitt Ridge & backpack oportunities, views to die for. Partington Cove along the Big Sur coastline. This coastal range has a few lower elevation reservoirs, that are perfect for recreation during that hot June, when the June Gloom is still in full swing. While most have full service marinas & rent boats, kayaks, bikes,& more, you should contact the lake sauthorities directly to see what is available as some items will be already reserved or even discontinued for the season.